Got electricity prices on your mind? Keeping track of your energy consumption can help you better understand what is contributing to your monthly bill. In this blog, we’ll look at some options for measuring consumption, including meters, devices, and apps. If your power company has recently upgraded your house’s power meter, you may already have one of these installed. 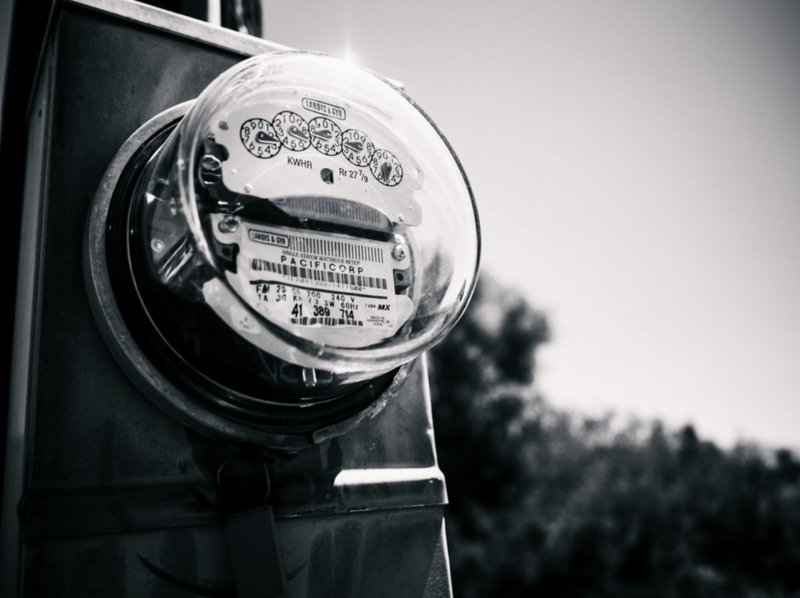 As part of wider grid upgrades, some companies are – as default - installing meters with newer digital readers that use wireless signals, to display how much the property as a whole is consuming. This is useful for companies to check your usage without sending anyone out to read the meter in person. Some areas may not have smart meters yet, and some companies have opted not to implement them. There are some fairly wide-spread but unfounded rumours that governments are able to use smart meters to spy on households, and so some homeowners have also decided to refuse their installation – this could include whoever owned your house before you if it’s a recent purchase! If you think you do already have a smart meter, contact your power company, as they could have options for logging into their website and breaking down your power usage into day-by-day consumption. If you want to track consumption for single appliances, there are a number of devices you can find for tracking the cost of one outlet. Not all smart plug devices can track energy usage, as they tend to be geared toward setting scheduled shut-off times for appliances you may leave running while out. That said, many of them do measure electricity, and they are easy enough to simply plug into any regular power outlet before attaching your appliance. Smart Plugs are most effective when you have a handful of appliances you know or suspect are your household’s worst offenders, rather than trying to monitor each and every outlet individually. Your biggest appliances – oven, washing machine, fridge – may not be plugged into a regular outlet, or may be plugged into a hard-to-each outlet. If you don’t have a Smart Meter, and you think your power company is unlikely to install one for you, there’s a number of home monitoring systems out there you can look into. A personal home monitoring system takes a lot of work to install, usually requiring you to attach pieces to your breakers or elsewhere on your property. Knowing a little bit of electrical trade helps, but the companies that sell these systems design them to be used by everyone, as long as you’re cautious. Expect to pay more than $150 for a good home monitoring system, but once it’s installed you should have a comprehensive overview of your entire household’s energy usage. Finally, there are a few apps out there designed to measure home energy consumption – without the extra parts that monitoring systems need. The important thing to note here is that they all tend to work differently: some measure individual devices, some tap into smart meter readings, and some use public data to guess your energy usage. There was an initial influx of energy apps that gained a fairly bad reputation for being scams, or not working well, but there is a second wave of them currently released that seem much more legitimate and user friendly. While these newer apps are far more affordable than home monitoring systems, the data they report is much less accurate. They may save you money, but probably won’t save you time – you’ll have to put some effort into getting good readings out of them. Beyond tracking the energy consumption of appliances in your household, another way to save money is to compare power companies every so often, to make sure you’re still getting the best deal possible. To compare power prices NZ wide, contact the team at glimp today!